This article aims to help you with the removal process of Search.search-bee.com hijacker from your affected Mac. The questionable website Search.search-bee.com affects web browsers in order to push its dubious searching services. Its presence in your preferred web browser may be caused by any potentially unwanted program installed on your Mac. Program of this kind may be designed to alter essential browser settings without your knowledge. Changes may affect your browser homepage, new tab page and default search engine. Keep reading to understand more about the impact of Search.search-bee.com hijacker and how to remove it properly from your Mac. Short Description A deceptive search engine that replaces preferred browser homepage, new tab page and searching service without asking for yor explicit permission. Symptoms Basic browser settings are hijacked by the domain of the hijacker. An increased number of ads appear during browsing sessions and cause significatnt slowdowns. User Experience Join Our Forum to Discuss Search.search-bee.com. Search.search-bee.com could have landed on your system along with an app you downloaded from untrustworthy source. There are various free third-party apps that are used for the distribution of potentially unwanted programs like this hijacker. The tricky part with freeware is that their installers could be programmed to install additional programs by default. Furthermore, in order to trick you into giving consent for the installation of existing extras the installers conceal their presence. This way you may have unintentionally permitted Search.search-bee.com to hijack your browser. Happily, there is a way to prevent the occurrence of such annoying issues. And it is usually hidden in the Advanced or Custom configuration options as they may reveal more details about installer’s components. Search.search-bee.com might have also sneaked into the system after a drive-by attack. This kind of attack is one that enables attackers to inject malicious code into the source code of various web pages. So when these pages are loaded in the browser they search for predefined vulnerabilities in order to exploit them and then drop certain files and objects on the device. Sometimes even legitimate web pages could be compromised and set to activate troublesome files directly on the systems of their visitors. 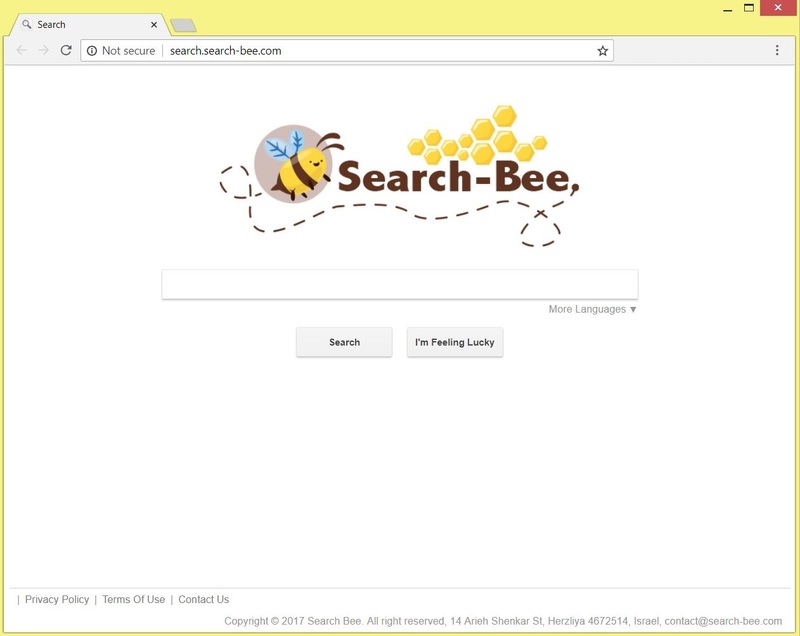 In case that files associated with Search.search-bee.com are executed on your Mac you may start to see its main page each time you open your preferred web browser. This is so due to the fact that the code of these files contains information on how to access browser settings and how to implement some changes. The analyses of its activities indicate that it does not aim to do harm on your Mac. However, its presence on the system represents a security hole which may be eventually used by malicious intenders to install malicious code on the system. Furthermore, its presence on the system is not harmless at all. What is endangered is the data stored in your affected browser. What’s more, the hijacker keeps a record of all mentioned details on its servers. And this could be explained by the fact that its owners need them to optimize their advertising campaigns. As you may guess all data of yours will help them to understand what you are interested in. As a result, you could start to see an increased number of online ads that aim to trick you into visiting the content they promote. Keep in mind that visiting ads generated by hijackers like Search.search-bee.com hide the potential risk of serious security issues. Since the pages they are set to land you on may be corrupted by cyber criminals your system is endangered by severe malware infections. In addition, collected data could be shared with other third parties (including retailers, media networks, feed providers) for the completion of collaborative business purposes. For the sake of your online security, all adverse effects that occur after Search.search-bee.com affects your browser should be eliminated as soon as possible. In order to remove the annoying Search.search-bee.com hijacker along with all its associated files from your Mac you should complete all steps listed in the removal guide that follows. It presents both manual and automatic removal instructions that combined will help you to remove this undesired program in full. Threats such as Search.search-bee.com may be persistent. They tend to re-appear if not fully deleted. A malware removal tool like Combo Cleaner will help you to remove malicious programs, saving you the time and the struggle of tracking down numerous malicious files. Threats such as Search.search-bee.com may be persistent on your system. They tend to re-appear if not fully deleted. A malware removal tool like SpyHunter will help you to remove malicious programs, saving you the time and the struggle of tracking down numerous malicious files. Note! Your computer system may be affected by Search.search-bee.com and other threats. SpyHunter is a powerful malware removal tool designed to help users with in-depth system security analysis, detection and removal of threats such as Search.search-bee.com. 1. Install SpyHunter to scan for Search.search-bee.com and remove them. 2. Scan with SpyHunter, Detect and Remove Search.search-bee.com. Ransomware infections and Search.search-bee.com aim to encrypt your files using an encryption algorithm which may be very difficult to decrypt. This is why we have suggested several alternative methods that may help you go around direct decryption and try to restore your files. Bear in mind that these methods may not be 100% effective but may also help you a little or a lot in different situations. Note! Your computer system may be affected by Search.search-bee.com or other threats. Remove Search.search-bee.com by cleaning your Browser and Registry. Fix registry entries created by Search.search-bee.com on your PC. Combo Cleaner is a powerful malware removal tool designed to help users with in-depth system security analysis, detection and removal of threats such as Search.search-bee.com. Step 5: In the Applications menu, look for any suspicious app or an app with a name, similar or identical to Search.search-bee.com. If you find it, right-click on the app and select “Move to Trash”. Step 6: Select Accounts, after which click on the Login Items preference. Your Mac will then show you a list of items that start automatically when you log in. Look for any suspicious apps identical or similar to Search.search-bee.com. Check the app you want to stop from running automatically and then select on the Minus (“–“) icon to hide it. Remove Search.search-bee.com – related extensions from your Mac’s browsers. A pop-up window will appear asking for confirmation to uninstall the extension. Select ‘Uninstall’ again, and the Search.search-bee.com will be removed. When you are facing problems on your Mac as a result of unwanted scripts and programs such as Search.search-bee.com, the recommended way of eliminating the threat is by using an anti-malware program. Combo Cleaner offers advanced security features along with other modules that will improve your Mac’s security and protect it in the future. Hey !, I found this information for you: "Remove Search.search-bee.com Browser Hijacker from Mac". 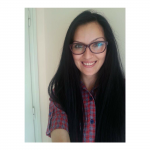 Here is the website link: https://sensorstechforum.com/search-search-bee-com-hijacker-remove-mac/. Thank you.